Our Labradoodles from Karlaspets are raised in the healthiest environment. 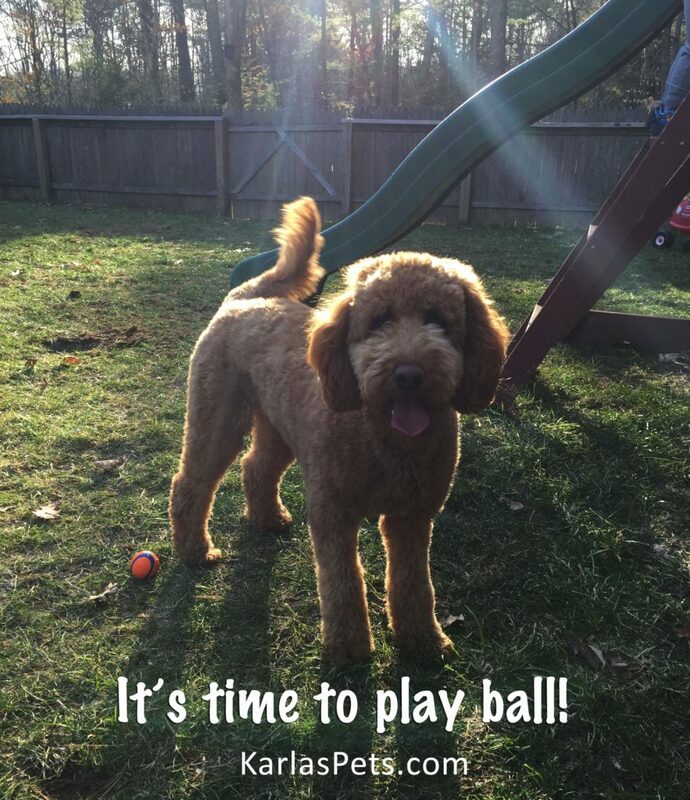 Because of how we raise them, it translates into a wonderful adult dog (Doodles and Moyen Poodles) for you and your family. We take great loving care of the moms and dads who create our wonderful Labradoodle puppies. Did you know that Labradoodles make amazing family pets? Watch the video below and see some of our adorable Labradoodle puppies! A Little Labradoodle History for You! This “designer” hybrid became well known very quickly. The Labradoodle has gone on to prove that they also make wonderfully amazing versatile family and therapy dogs as well. 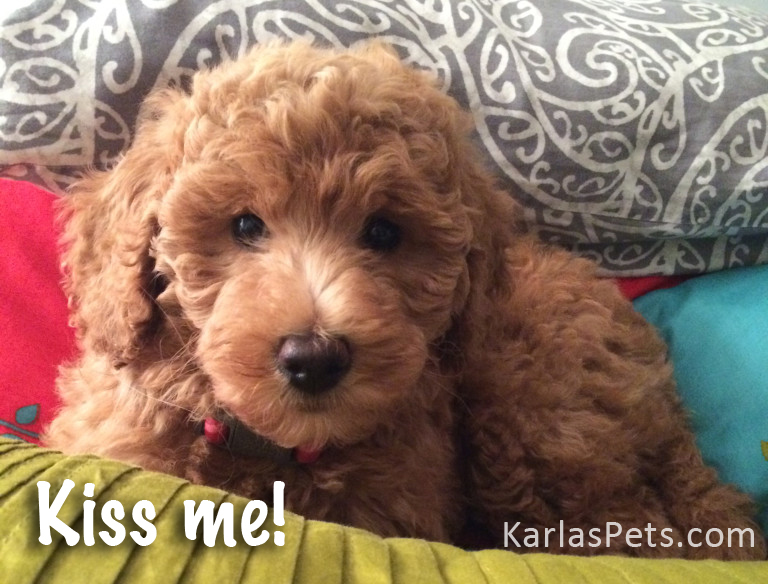 Consider a Labradoodle from KarlasPets! 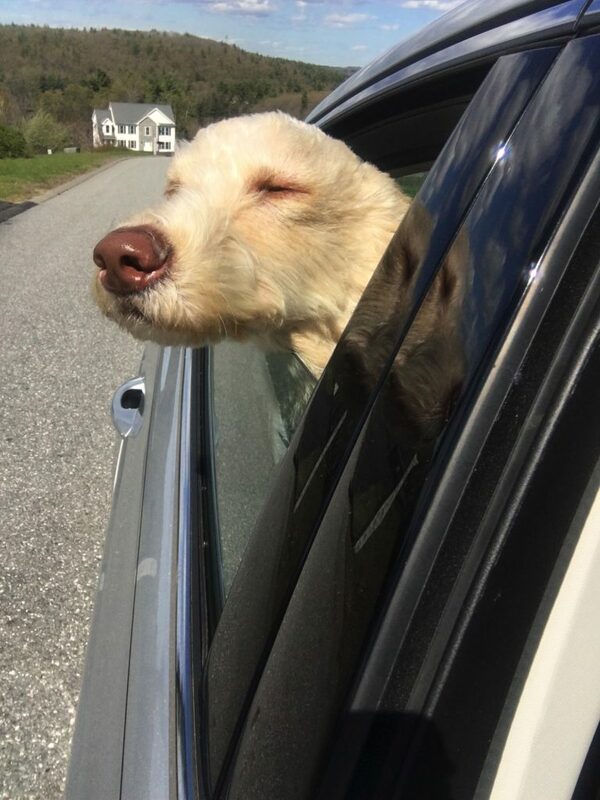 A Labradoodle is happiest when they are with the people they love. They are well known for showering their family with affection and devotion. With the energy of the Labrador Retriever and the work ethic of both the Lab and the Poodle, they are truly a joy to have as a family pet. They are great companions whether you have kids or just want an amazing companion dog for yourself. Thanks to the efforts of a handful of people, the Labradoodle may soon end up as one of the most popular breeds available. A Labradoodle approaches life head-on, and they approach every new friend with the same enthusiasm. With training, you can teach your new Labradoodle proper doggy etiquette. A Labradoodle is generally easy to train, they are intelligent and eager to please. They usually do well with other dogs and pets in the household. They are very good with children, although, keep in mind they can be exuberant through sheer boisterousness. Overall, they make an excellent pet for a first-time dog owner. Labradoodles can be calm and quiet while curled up on your feet, but also ready to jump up and play a game of fetch with only a moment’s notice. They are not an ideal guard dog; although they will alert and bark, they’re more likely to invite an intruder in for tea on the good china. 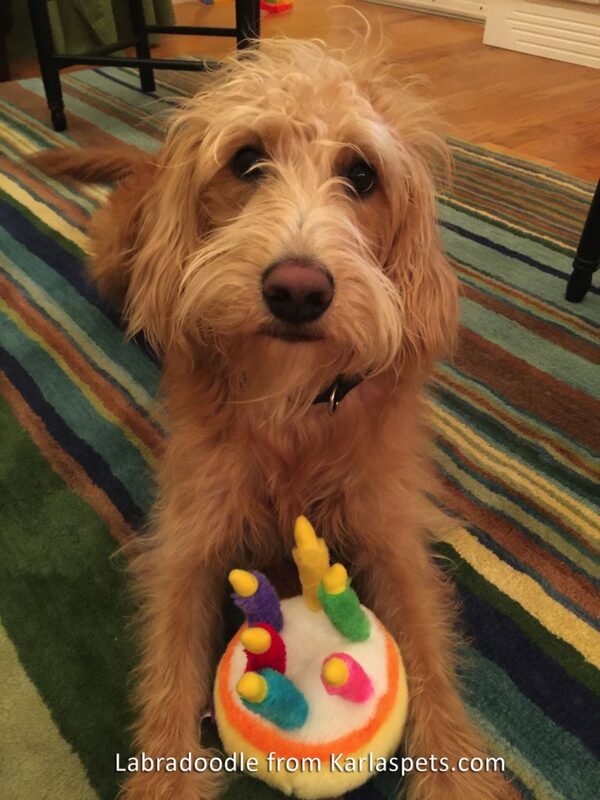 We’re so proud of the way we raise our doodles! We continue to hear back from customers who have adopted our Labradoodles from Karlas Pets. We love our Labradoodles and are proud to be known as a quality doodle breeder. We don’t want you to just take our word for it, please see our testimonial reviews from our customers. Our Labradoodle puppies are born in our bedrooms, our living rooms, never in cages or kennels, this gives them plenty of room to run. We take exceptionally good care of our puppy moms and dads. We always feed them well, we are highly educated about the nutrition they need and how this effects their health and well-being and the quality of life they will have as an adult dog.